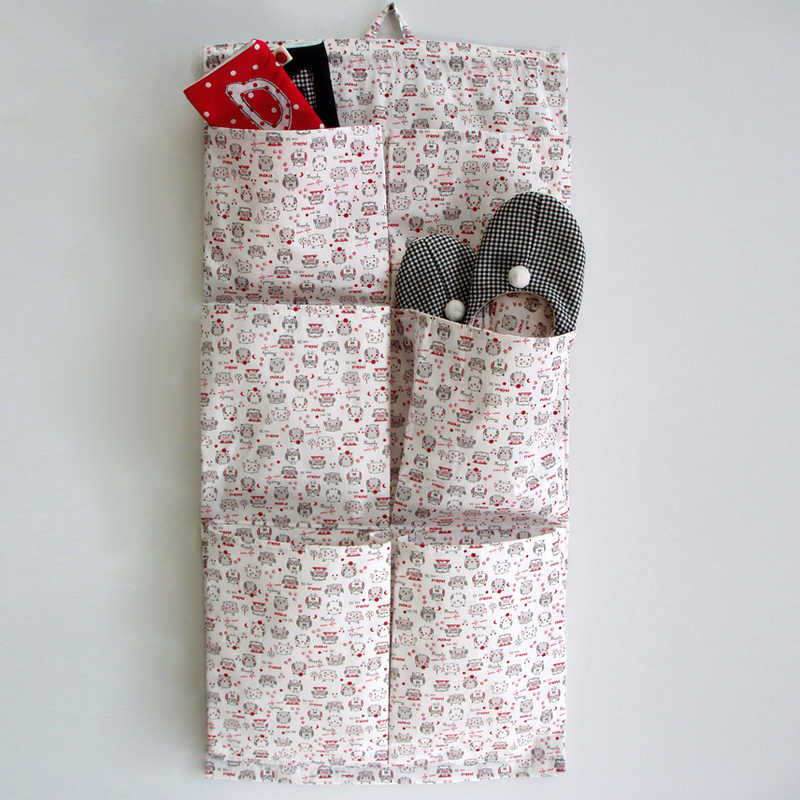 Fabric wall organizer with 6 pockets, in with printed owls in white, red, grey and black. It’s ideal to organize small items, jewelry, bills, toys, cosmetics etc in the kitchen, bedroom, children’s rooms, bathroom or hanging on the closet’s door for socks and pantyhose, scarves, belts and all kind of accessories! Extra tip: It can storage many female shoes (sandals, flip-flops, ballerinas etc) and it’s very handy hanging on wardrobe door!